China is welcoming the PTC CREO 5.0 Tour and since May, Trace Software International, the global leader in software solutions for the industrial engineering, had the immense pleasure of participating as a guest speaker in six distinct events. The company is a long-term partner of PTC, the worldwide giant in industrial innovation, and currently working closely with 15 PTC resellers just in China. Its technological solutions help companies to exploit the immense opportunities that have arisen in the convergence between the digital and physical world through the IoT, augmented reality, 3D printing, the digital twin, and the Industry 4.0 model. PTC produces technological solutions to design, produce and manage products for an intelligent and connected world. The aim of the tour is to present the latest innovations of PTC CREO 5.0. The 3D CAD software comes with an even more interactive user interface, modeling enhancements for increased productivity and new capabilities in topology optimization, analysis (computational fluid dynamics), additive manufacturing, computer-aided manufacturing (CAM), augmented reality (AR), and multi-CAD. During the events, they will also talk about mechatronic design and PTC Windchill solutions that allow efficient management of the entire product lifecycle. 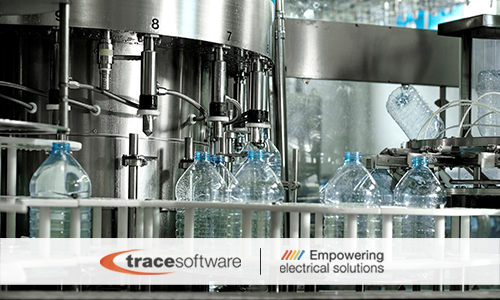 Trace Software International, with more than 30 years of experience specializing in intelligent solutions for the electrical engineering, went on stage in front of a total of +400 attendees to talk about its two software for industry professionals. elecworks™ for PTC® Creo® enables to easily integrate the electrical schematic design from elecworks™ to the PTC® Creo® project. Designers can place 3D versions of all electrical parts into their model and run wires/cables/harnesses in 3D to connect all electrical equipment. elecworks™ for PTC® Windchill® allows managing all information, content, documentation, and processes. Now more than ever engineering processes are complex, especially as information technology is reshaping the industry. Engineers are expected to create products efficiently and cost-effectively. Also, as the immediate access to data is key from the initial phase of digital design to monitoring in the physical world, the efficient management of the product lifecycle plays a critical role as a resource to create business value. You can stand one step ahead of competitors. Request a demo now. Last week the Chinese team of Trace Software International successfully overcame its last challenge – a fruitful deal with China Guangdong Lyric Robot Intelligent Equipment (Lyric Robot), the leading giant in the automated industry. 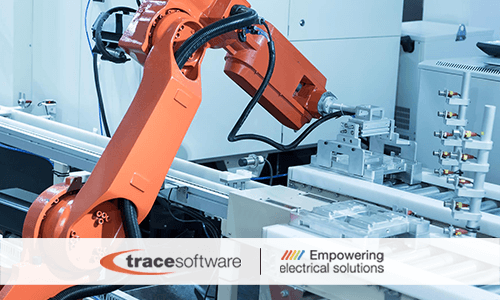 The high-tech enterprise chose Trace Software international- the notable company with an unparalleled experience in electrical engineering – as a strategic partner for an ambitious project: “elecworks™ for PTC Creo & elecworks™ for PTC Windchill electrical design project navigation”. The project’s primary objective is to guarantee to Robot Lyrics the reliable implementation of a new operational and technological approach for the design of the electrical system of the packaging machines and for the intelligent and integrated management of the processes. elecworks™ is the worldwide bestselling electrical CAD software for automation projects and electrical installations. It provides all necessary features for the best design process for power and control schemes, cross-references, PLC’s, Terminals Strips, Panels, Reporting etc. 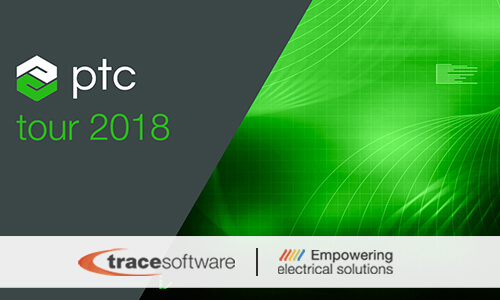 elecworks™ for PTC® Windchill® enables the efficient management of the product lifecycle, effortlessly integrating the electrical data in the PLM system. The operating logic of the PLM is based on the shared access of information, resources, and processes related to a product or service throughout its life cycle. The PLM, therefore, provides an integrated and essential framework with multiple benefits such as costs, quality and time-to-market optimization, automation of product data management, interdisciplinary collaborations, and safety monitoring. elecworks™ for PTC® Creo® ensures the smooth integration of the electrical schematic design from elecworks™ to the PTC® Creo® project. It enables faster development of schematically defined electrical systems that can readily be implemented in the 3D CAD models. Faster design, synchronized plans, up-to-date documentation, reduced costs throughout the product lifecycle are some of the benefits. Packaging machinery is a highly competitive market, but yet very profitable. Long-term investment in cutting-edge software solutions, able to reinforce the company competitive position in the market, is a strategic and profitable move.